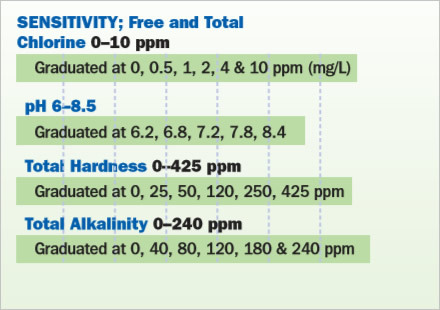 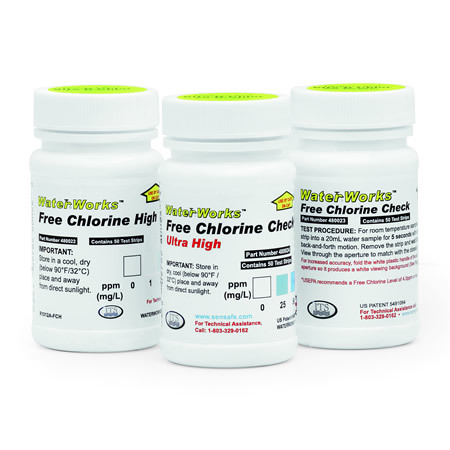 5-Way test strips report results for free chlorine, total chlorine, pH, total alkalinity and total hardness—all on the same strip. 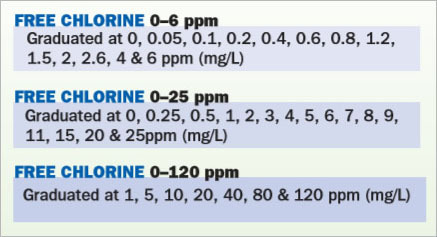 Utilizing a single dip-and-read method, these strips offer accurate and reliable results in less than 30 seconds. 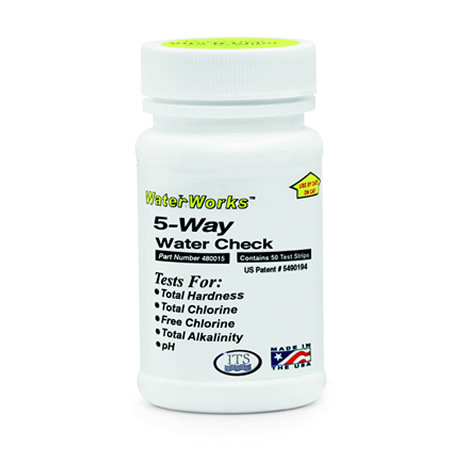 5-Way Test Strips are available in bottles of 50.